Airport Urbanism | What's Next for Chinese Airports? I recently had the pleasure to speak at a conference in Beijing. Organized by Hubstart, the event focused on the future of Beijing’s new Daxing airport, which will open in late 2019. 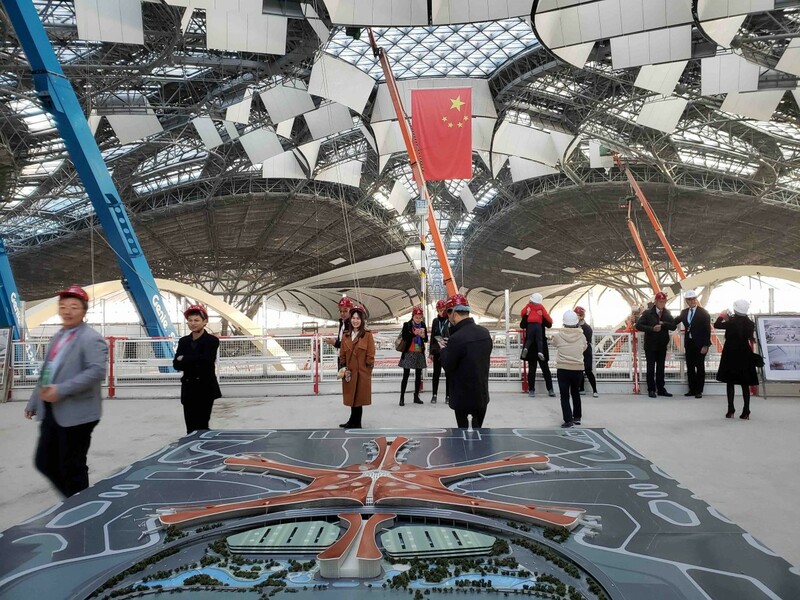 With a master plan by NACO and a terminal designed by ADPI and Zaha Hadid, Daxing will accommodate up to 100 million passengers a year, and will operate as the Chinese capital’s second international hub. The project has two goals. First, Daxing will relieve pressure on Beijing’s existing Capital airport (BCIA). Despite a major expansion a decade ago, BCIA is already facing capacity issues. In an interesting twist, Daxing will mainly host members of the SkyTeam airline alliance, such as Air France and China Eastern, while Beijing Capital will remain a hub for Star Alliance and OneWorld. Second, Daxing is part of a larger regional growth strategy, known as Jing-Jin-Ji, that aims to decongest Beijing’s inner city by developing new satellite towns in the capital’s rural hinterland. Daxing will anchor one of these new districts, attracting new jobs, new industries, and new residents to Beijing’s southern periphery. With a target population of several hundred thousand people spread across 150 square kilometers, the scale of this airport-led urban development project is ambitious, to say the least. The construction of Beijing Daxing offers us an opportunity to reflect on what Chinese airports have achieved over the past 30 years—and how they can do better in the future. What are the next steps that China’s airports need to take in order to become world-leading aviation hubs? To answer that question, let’s take a look at three challenges that currently confront Chinese airports: how to improve the customer experience, how to integrate aviation with high-speed rail, and how to promote urban development around the airport. Chinese airports have a reputation for technical competence and architectural ambition. But they’re also known for being tone-deaf to the needs of travelers. Signage can be confusing, walking distances seem irrationally long, retail offerings are sparse, climate control and soundproofing are inconsistent, and it can be challenging to enter or exit the airport at peak hours. The next generation of Chinese airports will need to focus on the needs and desires of their customers. The first step? Identify what types of passengers your airport hosts, and develop tailored strategies for each of them. Does your airport welcome a lot of international business travelers? Budget tourists flying on low-cost airlines? Retirees visiting their children? Each of these passenger segments has unique needs and desires. For example, in an ageing society such as China’s, it’s critical to ensure that elderly travelers have full access to airport facilities, and can easily navigate the terminal. And as China goes global, it will be essential to provide better support for passengers who do not speak Mandarin. Successful airports will offer tailored goods and services to different types of travelers in order to improve the overall customer experience, and to increase non-aeronautical revenue. At the same time, Chinese airports need to cut down on delays, which are far too common. Delayed flights significantly drive down the passenger experience and can spark bad behavior. Delays also prevent Chinese airports from becoming major players as international transfer hubs. 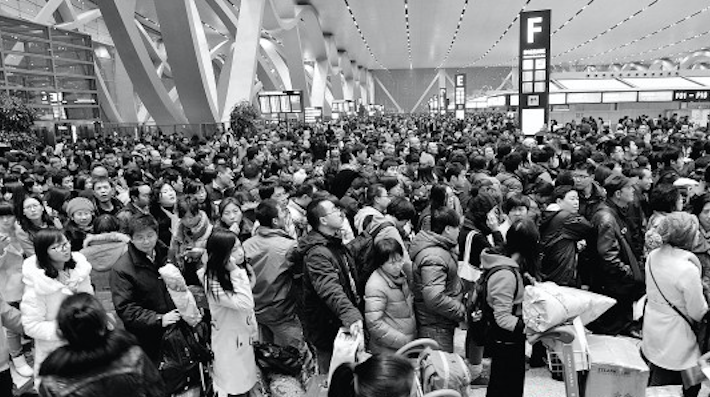 You might offer your customers a wonderful transfer experience within the terminal—but if passengers are worried that they will miss their connecting flights due to delays, then they will not choose to fly through China. Successful airports are reinventing themselves as multimodal mobility hubs, where road, rail, and maritime networks intersect with air transportation. 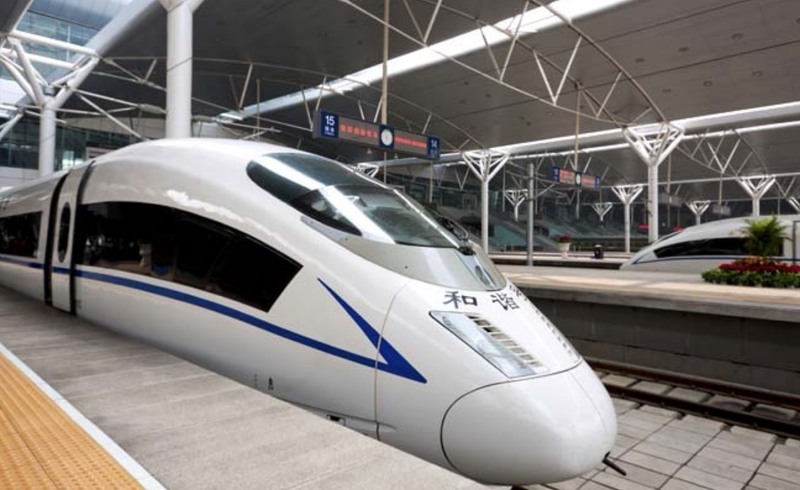 As the examples of Shanghai Hongqiao and Beijing Daxing reveal, China is quickly becoming a global leader in the integration of aviation and high-speed rail. But Chinese airports—and Chinese airlines—need to do more if they want these intermodal hubs to reach their full potential. A look abroad offers a few clues on how to do that. For example, the German airline Lufthansa operates an online ticketing platform where customers can combine air and rail journeys within a single purchase. On busy train routes, the airline provides dedicated seating for air-rail transfer passengers in branded Lufthansa carriages. Switzerland’s railway authority allows air travelers to deposit their baggage at train stations, which is then checked through to their final destination. Getting rid of luggage at the start of the journey increases the speed and efficiency of passenger flows, and makes passengers more likely to purchase goods and services along the way. Overall, this air-rail integration will be good for Chinese airports, who can increase their throughput and grow their catchment area through high-speed connections on the ground. And by shifting some short-haul traffic to high-speed rail, airports can free up airside capacity for more lucrative medium- and long-haul flights. But resistance from airlines, along with poor coordination between air and land transport ministries, may pose significant challenges. In response, successful airports will develop pilot programs that promote new forms of cooperative governance, cross-investment, and profit-sharing across transport sectors. 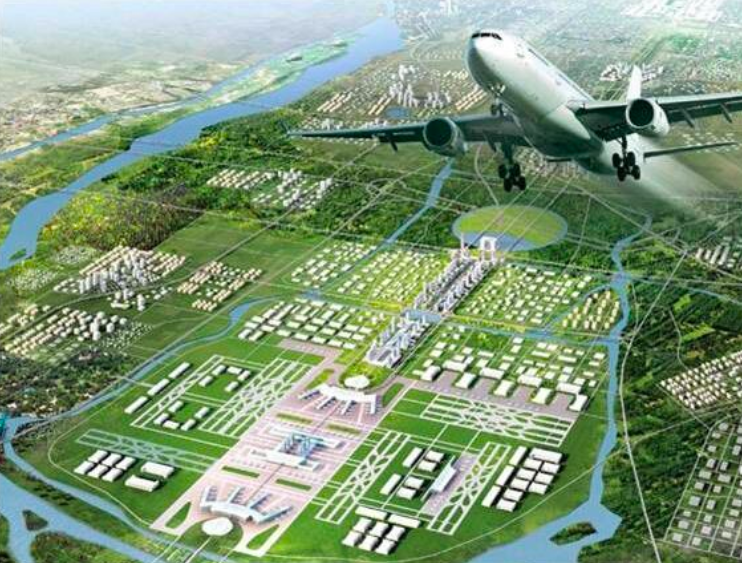 Like Beijing, many Chinese cities are building new districts around the airport in order to advance broader urban development and rural reform goals. Some of these new zones focus on technological innovation, and aim to attract R&D hubs and high-tech industries. Others will house thousands of residents in model townships that emphasize walkability and environmental sustainability. These are ambitious goals, and they will dramatically expand the spatial and functional scope of China’s airports. However, these projects will only succeed if they can attract a mix of public and private investment, and a mix of new residents to the airport area. Many airport development zones fail to reach their full potential because they don’t have a clear understanding of who their target customers are. They simply string together a series of buzzwords (“International High-Tech Eco Town,” anyone?) and wait for investors and residents to come rolling in. Based on a shaky business case, these projects fail to deliver a significant return on investment. By contrast, successful airport-area development projects identify what their city is currently lacking and what the local business community needs to grow. They then translate those insights into a development plan that responds to those unmet demands. Do entrepreneurs in your city require specific types of production facilities? Is there a shortage of certain kinds of housing, for example for young families or retirees? Does your city lack particular leisure facilities, such as a concert arena or an agritourism center? Above all, how can these projects capitalize on proximity to the airport, and leverage the industries and skill sets that already exist in the airport area? In recent decades, China has invested in airport infrastructure on a scale that is unparalleled anywhere else in the world. While there are a few greenfield projects on the horizon, much of that infrastructure is now in place. As China transitions from a developing aviation market into a mature one, successful decision makers will adapt their thinking to that new reality. 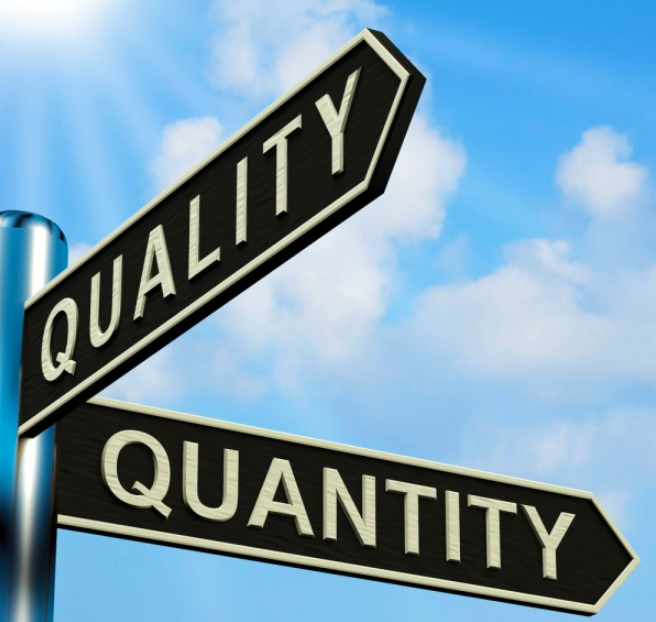 Above all, they need to shift the emphasis from quantity to quality. The days of impressing the flying public (or your superiors) with gargantuan structures are over: economic and environmental sustainability are the new priorities. In other words, it’s better to build a human-scale airport terminal, outfitted with high-quality goods and services, rather than one that is oversized and mediocre. Similarly, a compact airport economic zone with a convincing USP is more commercially viable and environmentally sustainable than one that sprawls in every direction and tries to attract dozens of different industries. Ultimately, the dynamics of China’s airports revolve around three sets of actors: passengers, airport employees, and local residents—that is, the people who live, work, and operate businesses in the airport area. Successful airport projects are designed with their needs and desires in mind. That people-focused approach empowers us to see more clearly how Chinese airports and airport-led urban developments can improve their business model—and, in so doing, establish themselves at the forefront of global innovation.